"This is the book we've been waiting for. Fornay is a master." "This wonderful book will empower you to be knowledgeable, well-groomed, confident, and successful. It's the ultimate guide for every woman of color who wants to radiate her beauty." "Alfred Fornay has exemplified perfection in the beauty and fashion industry. His style, e'lan, and foresight have been emulated by countless others." "Before black women knew which way to turn, where to look to affirm their beauty, and find the tools to enhance their beauty, there was Alfred, setting the pace." This internationally acclaimed makeup and skincare handbook and guide has shown thousands and thousands of women how to successfully present their own unique beauty. ALFRED FORNAY, a graduate of the State University of New York's Fashion Institute of Technology (FIT) and the City College of New York with degrees in merchandising and marketing, is one of America's foremost authorities on skincare and makeup. He was Creative Director for Revlon Cosmetics' "Polished Ambers Collection"; Marketing Manager for Clairol; Training Director for Fashion Fair Cosmetics; Beauty Editor for Ebony magazine; and Editor in Chief of Ebony Man. 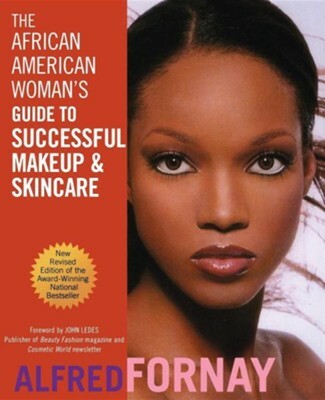 Fornay also served as the first male Beauty Editor of Essence magazine. He is also the author of Born Beautiful: The African American Teenager's Complete Beauty Guide (Wiley). I'm the author/artist and I want to review The African American Woman's Guide to Successful Makeup and Skincare Revised Edition.